Bespoke conservatories are a fantastic way of putting your own mark on your home. Unique to you, we can tailor make and individually design conservatories that meet your specific requirements. As an Ultraframe installer we have access to their bespoke range of Loggia conservatories so you can make a decision on the perfect conservatory. The Loggia range includes Loggia Prestige, Loggia Premium and Loggia Ultimate. 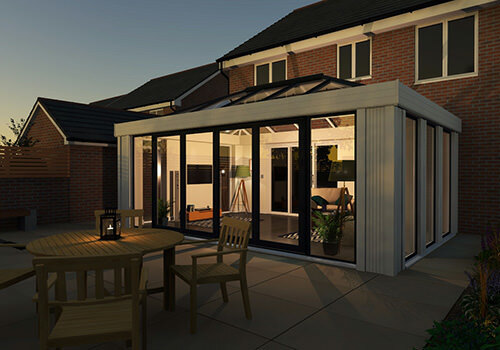 The Loggia Prestige is the most affordable of the range but offers all the luxury and contemporary design features of a state of the art conservatory. What makes Loggia Prestige so fantastic is the heightened thermal efficiency, insulating pelmet and LivinLight options, something a regular conservatory cannot provide as standard. Unlike traditional conservatories, the energy efficiency levels of a Loggia conservatory are exceptional. Cleverly designed to target the main heat loss areas, your Loggia conservatory will remain warmer in the winter and cooler during the summer. You can also notice a reduction in your heating costs by up to 30% compared to a standard conservatory. This type of bespoke conservatory is designed to include a Prestige insulated pelmet that can accommodate down lighting for a warming ambience into the evenings. The unique Loggia columns and the Prestige cornice provide a stunning design and enhance the appearance of both contemporary and period properties. Loggia Premium bespoke conservatories are the next upgrade within the range, designed to seamlessly connect your new extension and your existing home. 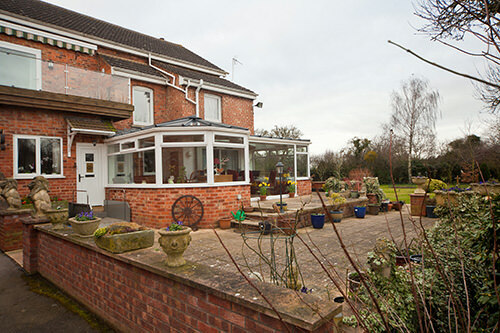 A cross between a conservatory and an orangery you can enjoy the best of both worlds. What makes the Loggia Premium range so unique is the vertical columns topped with the classic cornicing to create a sophisticated and most attractive design. With premium insulating qualities you can save money on your heating bills and even use Loggia’s integrated electric panel radiant heaters providing more than half the heat you’ll need for the winter at the touch of a wireless button. The Loggia Premium replaces masonry piers with super insulated Loggia columns, up to five times more thermally efficient than brick. Why not consider incorporating the LivinRoom perimeter ceiling which looks fantastic and performs superbly. It’s so thermally efficient you could even remove the interior doors connecting your home and bespoke conservatory without worrying about losing valuable heat. The Loggia Ultimate really does what it says – it is the ultimate in bespoke conservatory design. An excellent way of creating more space for your property that blends in seamlessly. 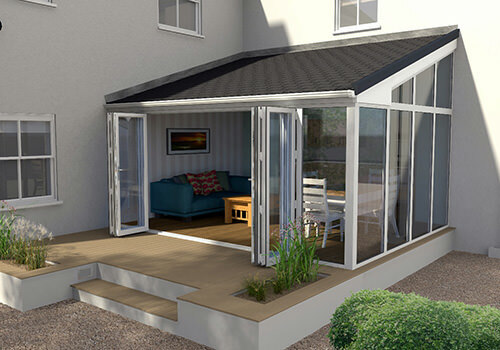 The Loggia Ultimate combines all the features of the Loggia Premium but with the addition of the Ultraframe realROOF. The realROOF provides beautiful vaulted plastered ceilings inside and boosts the sense of space. Choose from tiles or slated roofs on the exterior to match your existing property. You can also make your new bespoke conservatory your own with the choice of bi-fold doors, French doors or patio doors that could be incorporated into an entire wall. Available in practically any conservatory style from lean-to, gable-end, Edwardian or a tailor made design specifically for you. 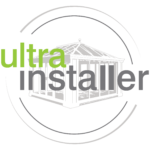 Ultraframe have created a first class 21st Century living space that Select Products are proud to install to homes throughout Leeds.